The state of Ceará, in Northeast Brazil, contributes only to 2% of the Brazilian GDP. Yet, it will soon host the Brazil’s largest public broadband Internet network. The Cinturão Digital do Ceará (CDC), which translates as Ceará’s Digital Big Belt, will be inaugurated this Thursday by the governor Cid Gomes and the Science and Technology Minister Aloizio Mercadante. So why did the local authorities decide to invest around R$50m (US$28.6m) into this initiative? The key to understanding the rationale behind the CDC can be found a paper co-written by Ceará’s governor last year. In this text, which is available on Google Books, the co-authors expose the network’s raison d’être: the CDC wasn’t born in spite of Ceará’s peripheral status, but because of it. With 8.4 million inhabitants, Ceará is Brazil’s eighth largest state by population. Yet, as we mentioned in introduction, it only contributes to 2% of the national GDP. This exclusion is also digital: in 2008, only 3% of the population had broadband access, most of them in the capital, Fortaleza. To date, only five cities have medium-speed (512 kbps) Internet connections, with coverage a serious issue. According to the paper, infrastructure costs and local monopolies mean that operators sometimes prefer to pay a fine than to offer broadband in remote areas. Many people couldn’t afford faster speeds anyway – in Fortaleza, one third of the population lives in favelas (slums) filled with migrants who have left rural areas. This situation led the state to develop its own public network, the CDC. It is a highly ambitious project; according to the government, it consists of a whopping 2,600 kilometers of optic fiber. The network will soon connect 92 cities and reach 90% of the urban population in Ceará (where only 10% live in rural areas.) As for the maximum speeds, they could vary between 30 and 70 Mbps depending on sources. 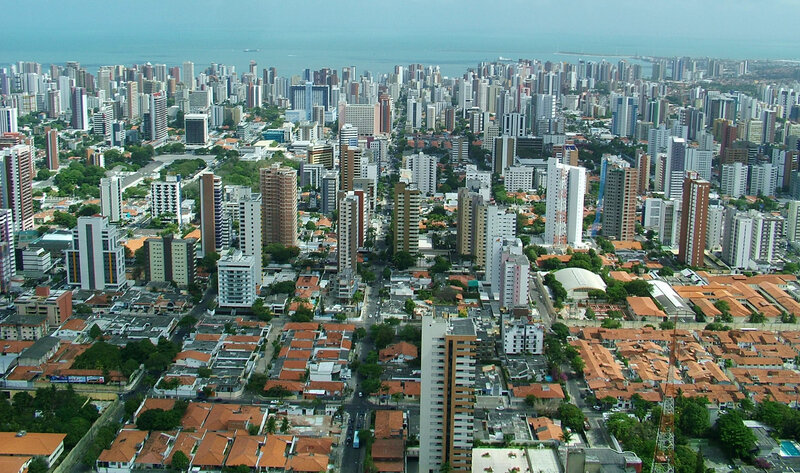 In Fortaleza, the CDC will be integrated with existing infrastructure to enable speeds of up to 2 Gbps. As you can imagine, the CDC’s main goal is digital inclusion, to foster economic integration and growth. Beyond the fact that the CDC will connect schools and public services, the general population will also be able to access the Internet from “public computer labs, public squares, schools, [campuses] and community centers.” Private Internet providers are expected to enter in the mix as well and offer more affordable services than before. However, the network’s impact is expected to go well beyond technology. The authorities hope to measure its results on a large series of metrics: number of new businesses, local students’ performance, homicide rate (due to CCTV), geographic repartition of economic activities, public efficiency, responsiveness during FIFA World Cup in 2014 in Fortaleza, etc. If Ceará made this project a priority while it has serious economic and social needs, it’s because it expects Internet to help solve them. One of the plan’s most emblematic measures is to get operators to offer the population a 1 Mbps connection for R$35 (US$20); in other words, to provide clients with real broadband at a reasonable rate. This measure will very soon become a reality in 344 towns across 18 Brazilian states – with more to follow. What do you think of public initiatives to improve broadband access? Let us know in the comments.